Peter Kraus, who was the runner-up of season 13 of "The Bachelorette," is opening a gym in Middleton starting Wednesday. Local color consultant Jane Earl offers tips. Madison-based luxury camping and events company is making roughing it a breeze. The Dane County Farmers' Market is gearing up to open on Capitol Square this Saturday. 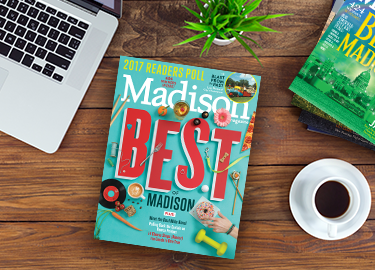 Four Madison companies are striving to make real estate matter for their clients and the community. As summer returns, so does the desire to hop in the car, roll down the windows, crank up the tunes and hit the road. Within a few hours drive are six ideal destinations only a tank of gas away. Make the most of your road trip with these tips and then start planning your vacation to one of these great getaways. Women are making strides in Madison's business community. An employer-sponsored fund helps workers save for the future, while a local law firm summarizes new tax law changes. With spring and summer approaching, many homeowners emerge from hibernation and start planning cookouts, pool parties and backyard gatherings — or look forward to spending time in their great outdoors.